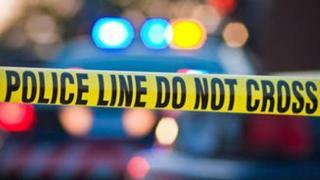 San Jose police said that shots were fired late Wednesday morning during an attempted home invasion. The shooting occured around 10:30 a.m. outside of a home near the intersection of Hull and Bird Avenues, according to Sgt. Enrique Garcia. Three suspects fled the scene in a silver Mercedes sedan. The suspects are considered armed and dangerous, Garcia said. A victim inside the home suffered an injury to the head. The home invasion marked a busy morning for San Jose police. Earlier, officers shot a man who they say was attacking his mother with an ax.